Merchandise will be available from HCVS Events and by post. Download the order form and send with your cheque 'Payable to HCVS' to Geoff Heels, 4 Elmwood Court, Ashtead, Surrey, KT21 2RG. 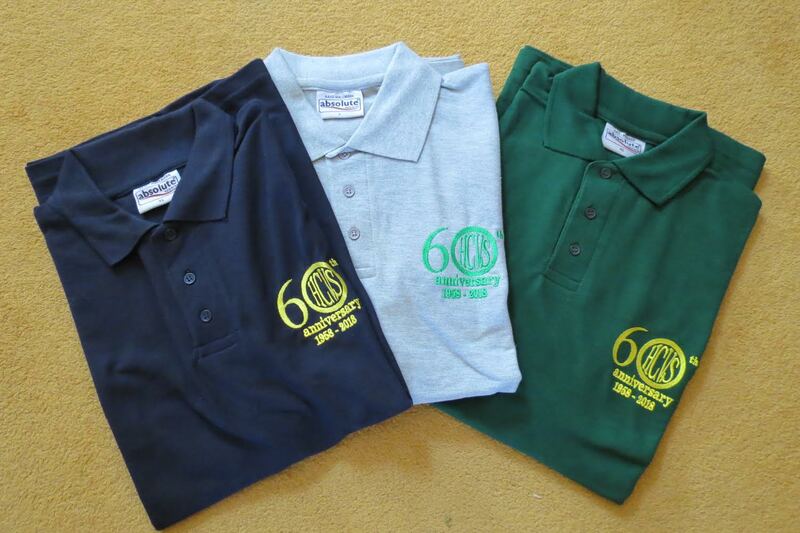 in various colours embroidered with the 60th. anniversary logo. £15 plus £3 p & p, payable to HCVS. Order now from Geoff Heels, 4 Elmwood Court, Ashtead, Surrey. 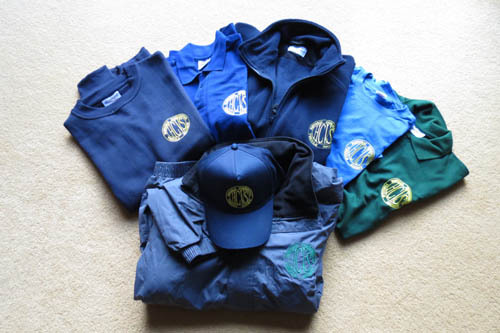 Polo Shirt in grey, dark green, royal blue, navy blue, black with logo in yellow or green. £15 + £3 P &P.
T - Shirt in colours as above. £13 + £3 P &P.
Please state size - M, L, XL, XXL and XXL.